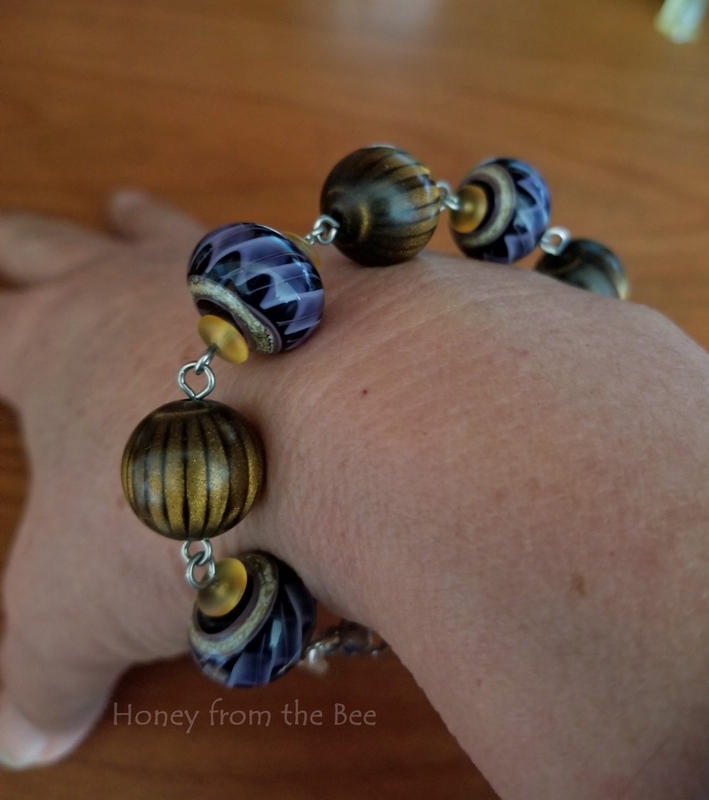 Golden tones with purple art bracelet. These are some of the prettiest lampwork beads I've ever purchased. They look like ribbons are wrapped around them. 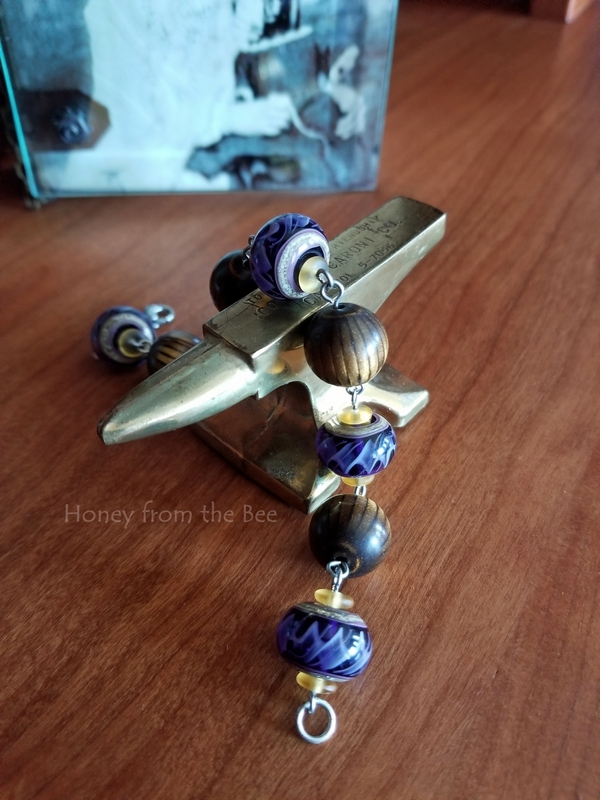 Catherine Steele is the artist that created these beads of art. 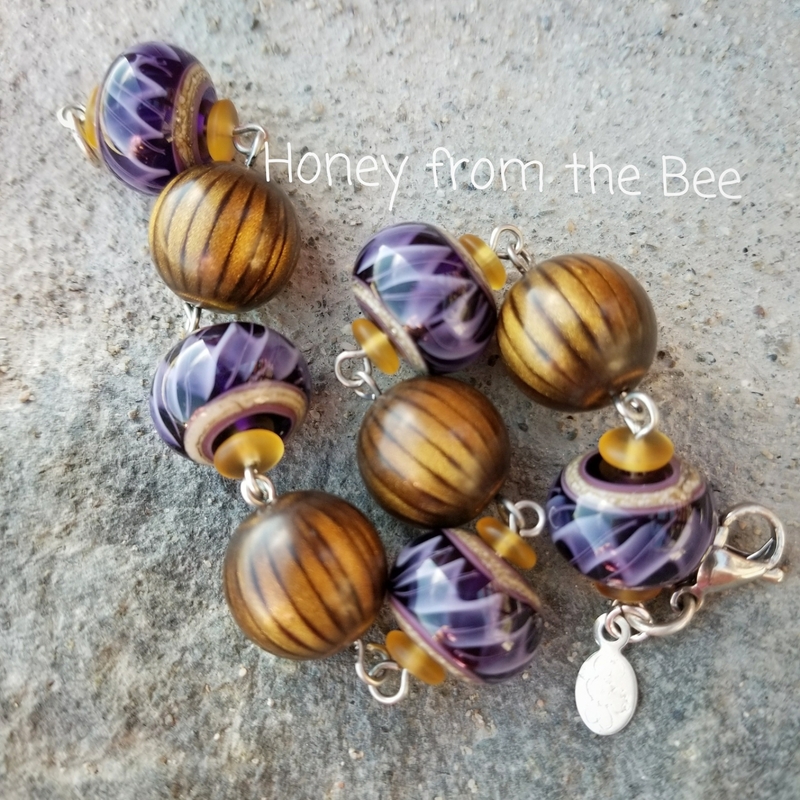 I've paired the lampwork with lightweight wooden beads that have been favorites of mine. I only have I think 1 bead left and I don't remember where I bought them! argh... Tiny golden rondelles of glass pick up the golden color next to the lampwork. Lobster claw in stainless steel is easy to open. 6 inches for a small wrist.